Our signature California Delicious gift box holds wines and gourmet delights hand selected just for you. 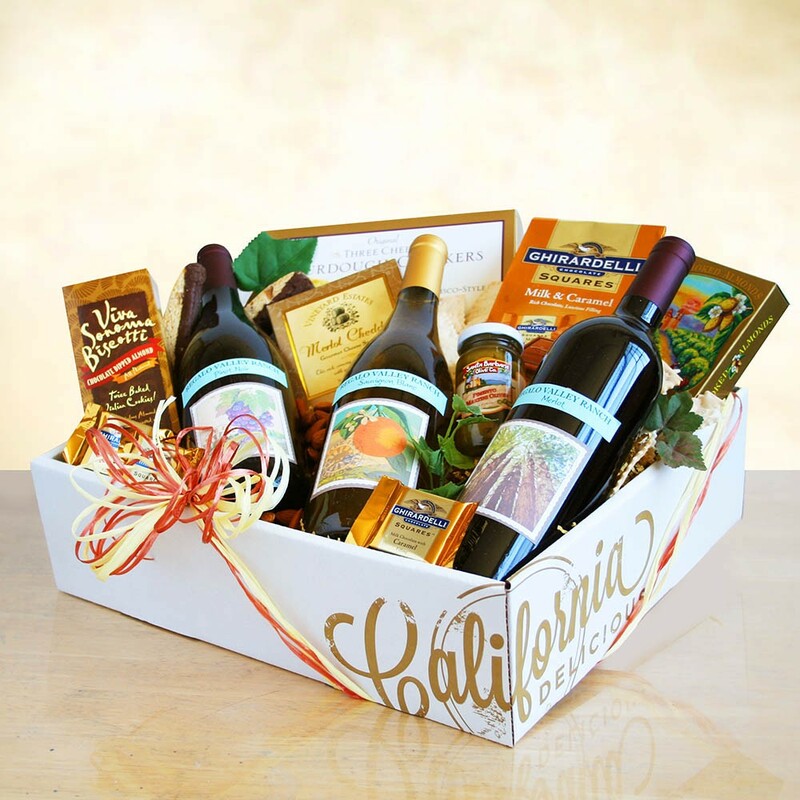 Surprise someone special with California gourmet greetings that include three fabulous California wines complemented by other Golden State goodies like California cheese & crackers, Ghirardelli chocolates, and more. They are sure to raise their glasses to you as they enjoy!